Gloucester have signed utility back Tom Marshall from Super Rugby side Chiefs. The 24-year-old will move to Kingsholm for the start of next season, when his commitments in his native New Zealand come to an end. Marshall, who can play at centre, full-back and wing, becomes the first overseas signing for Gloucester director of rugby David Humphreys. "He's got good physical presence but is also a top quality footballer," said Humphreys, who arrived in the summer. "His versatility will give us a number of options across the back line." Auckland-born Marshall is a former New Zealand Under-20 international who has represented Tasman Makos in the ITM Cup, as well as Crusaders and Chiefs in Super Rugby. 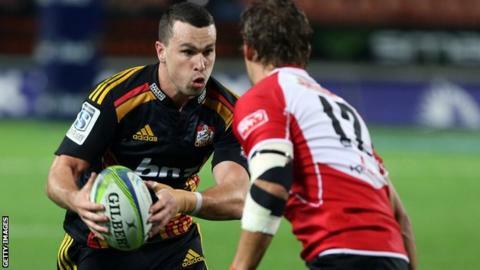 "Tom's played a significant number of Super Rugby games and has impressed whilst with both the Crusaders and the Chiefs," added Humphreys. "Yet he's still only 24 and we believe has his best years ahead of him in a Gloucester shirt."